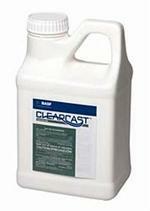 Herbicidal Soap is a fast-acting weed, algae and moss killer. It does not stain concrete, pavement, stucco or wood. 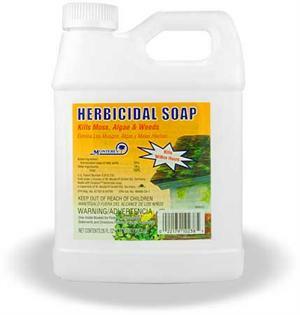 Herbicidal Soap is a non-selective herbicide that controls many common annual weeds. It suppresses the growth of some bi-annual and perennial weeds. It can be used in cultivated areas prior to planting grass, flowers and vegetables. Areas can be re-sown five days after treatment. Herbicidal Soap can also be used on weeds, algae or moss growing on or around buildings, sidewalks, fences, trees, bark mulch, driveways, patios and gravel. It can be used at any time during the year. Best results are obtained with young, actively growing weeds, less than five inches in size. Would you like to see the Herbicidal Soap Label? 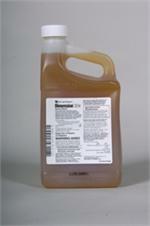 How about the Herbicidal Soap MSDS sheet?